I’ve been training for a half-marathon for the past month. It’s been great! Okay back-up. It has been hard. And challenging. And so much more than I imagined. I’m pumped up and worn out all at the same time. I’m trying to fit all the same things into my day with the addition of training. Scheduling runs worked out great at first, but when your husband is on kid duty during your runs and his work schedule blows up it makes finding time to run difficult. But the point of this isn’t to complain or campaign for sympathy. I’ve completed all of my training runs and I’m feeling good. Really good. I picked a training program with lots of small steps instead of one of those 12-week programs that start hot and heavy and don’t stop with the hot and heavy until race day. I wanted a gradual climb to 13.1 miles. After all, before a few weeks ago I really hadn’t run in over a year and a half. I have some good music loaded on my iPod. I have a good for me training program. I have settled on a new more family friendly training schedule, that let’s Luke work the hours he needs to work without my runs getting in the way. I even have a new pair of shoes and some new socks- that I’m breaking in slowly- to help keep me injury free. For a while I couldn’t figure out a suitable answer. Then about a week ago after making it to the gym about a half hour later than my normal scheduled time only to find that I’d apparently arrived just after every other person in the world I decided to walk next door to the Office Depot instead of stand at the back of the row of treadmills and stare at people’s behinds waiting for them to finish for what I was sure would be forever. I like office supplies. While wandering through the aisles of goodies I came across the big Sharpie display with all sorts of colored markers in all sorts of styles. It was like a sign. A bright beautiful sign. I love Sharpies. 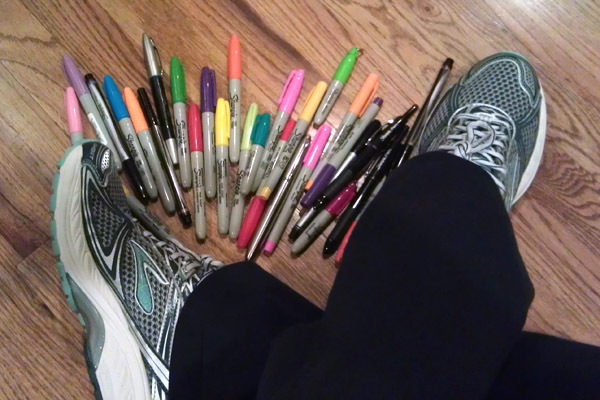 So then and there I decided after completing each week’s long run, and effectively capping off my week, I get to sashay next door to the land of Sharpies and pick out a new color for my Sharpie collection. I’m so geeky excited it’s silly. 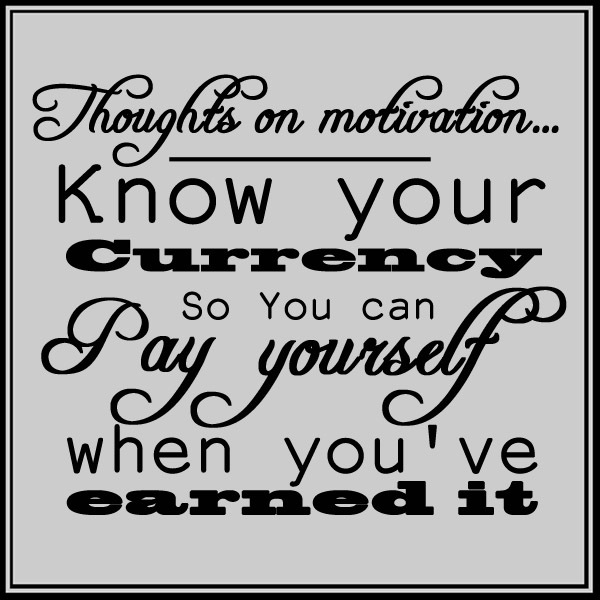 Apparently Sharpies are my currency and I plan to pay myself when I’ve earned it. May fifth I’ll have a half-marathon under my belt and more than a dozen new sharpies to make my heart go pitter-patter. I’m running for Sharpies. Who’s the weirdo?